The parade of children walking through the Castle Grounds carrying glow stick lanterns is a key part of the town’s annual Christmas Lights Festival and will make its way to St Editha’s Square in time for the switching on of the lights on Sunday, November 25. All children across the town have been invited to take part in the parade and help launch the festive season in style. A series of lantern-making workshops took place in Ankerside Shopping Centre last week on Thursday and Friday, with popular Tamworth artist, Maggie Carney, who was on hand to help children build and decorate a card lantern to carry in the parade. Children were busy getting creative and adding Christmas sparkles, glitter and stickers to customise their lantern. Youngsters are invited to collect their lanterns, which will be fitted with glow sticks and mounted on six-foot canes, from the Castle Grounds Bandstand at the start of the parade on November 25. Timings and parade route will be confirmed with those taking part nearer the time. Maggie was the leading artist on this summer’s hugely successful Mercian Mosaic project, and recently won the Tamworth Business and Community Awards ‘Citizen of the Year’ accolade for the project, with her group of volunteers ‘Team Aethelflaed’ receiving recognition in the Community Group of the Year category. Maggie said: “This project is a lot smaller than the Mercian Mosaic project, but it’s nice to be getting involved again. “More than 50 children of all ages had a great couple of days producing fantastic lantern designs. What a fabulous response with everyone enjoying lots of fun and creativity. An additional 40 lanterns have also been completed by pupils from St Leonard’s Primary School in Wigginton and a group at St Francis Church in Leyfields. Mark Burbridge, manager at Ankerside Shopping Centre, said: “It has been wonderful hosting the Christmas lantern workshops and welcoming so many children and families to the shopping centre. “There has been a lot of brilliant creativity on display and we have thoroughly enjoyed seeing the little ones revelling in the excitement of the upcoming Christmas parade. It’s such a huge event for Tamworth and we are looking forward to seeing the children lighting the way with their fantastic designs. The annual Christmas Lights Festival starts at 2pm and promises another jam-packed afternoon of festive fun for the whole family. 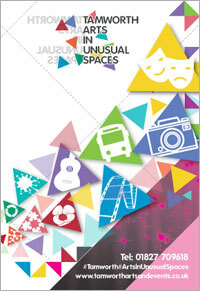 Activities include fairground rides, live music and dance performances, Christmas market, walk about characters, a nativity under the Town Hall and face painting. The festival, sponsored by Ankerside Shopping Centre, will also have a special guest in the form of Peter Rabbit™, who will be making appearances at intervals throughout the day and during the main event at 5pm when the lights are switched on. And of course Father Christmas himself will also be joining in the fun and excitement. There will also be a selection of stalls along the main high street, offering festive food, crafts and gifts. If you are interested in having a stall at the event, please contact TARoutdoorevents@tamworth.gov.uk for more information. The annual free festival is one of the highlights of Tamworth’s impressive calendar of outdoor events and is organised by Tamworth Borough Council’s Arts & Events team in partnership with Tamworth Christmas Lights Committee. It usually draws thousands of visitors from across the area. Cllr John Chesworth, Tamworth Borough Council’s Cabinet member for Operational Services & Culture, said: “What a fantastic response to the lantern drop-in workshops. We all look forward to the annual Christmas Lights Festival as it marks the start of the main countdown to Christmas. “This is an incredibly popular event in our calendar of free entertainment for residents and visitors and it’s a lovely festive day out. We are again inviting youngsters to really be a part of that with their families by joining the Christmas Lantern parade which will make its way from the Castle Grounds to St Editha’s Square in time for the switch-on. 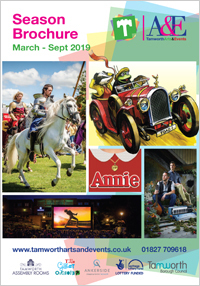 More information is available from Tamworth Borough Council’s Arts & Events team by emailing TARartsdevelopment@tamworth.gov.uk, or calling 01827 709314.